London, UK: The cutting edge contemporary furniture designer and manufacturer, AND Furniture has announced that it will exhibit at September’s 100% Design exhibition in the exciting emerging brands category. A platform for the most inspirational new names in the design sector, emerging brands is the go-to pavilion for architects and industry professionals. As one of the most influential design brands to emerge from London in recent years, AND Furniture will use its 100% Design presence to introduce its utterly elegant Rib side table to the UK. 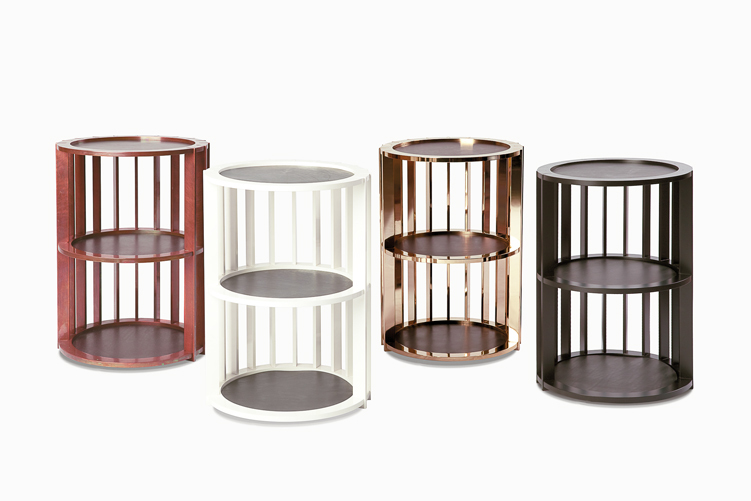 Finished in striking metal or powder coating, the ultra-contemporary and achingly chic slatted 3 tiered side table is available in brass copper black or white with leather insert tops. Held at Earl’s Court London, 100% Design is both the largest and the longest running contemporary design event for industry professionals in the UK. First staged in 1995, the show welcomes more than 25,000 visitors per year, many of whom explore the award-winning layout in search of fresh new talent and essential new products, all while soaking up an eclectic, inspirational design experience. From its launch in 2010, AND Furniture has pioneered a collaborative approach to designing and curating its collections, all rooted in its desire to explore new ideas and approaches to everyday objects. Its exceptionally crafted furniture is created with design enthusiasts in mind and as such, the brand works closely with taste makers and design connoisseurs. The design team regularly consults with artists, technicians and artisans to produce the best possible products. AND Furniture’s creations are a mix of stunning form with a healthy dose of function, with everyday objects such as the end table or ubiquitous coat rack re-imagined and reinterpreted in sleek, imaginative new ways. This design nous will be evidenced at 100% Design in September, where the brand will sit alongside other breakout creatives and producers. In addition to the Rib three-tiered side table, AND Furniture will also showcase its Legion wall coat rack system at 100% Design. 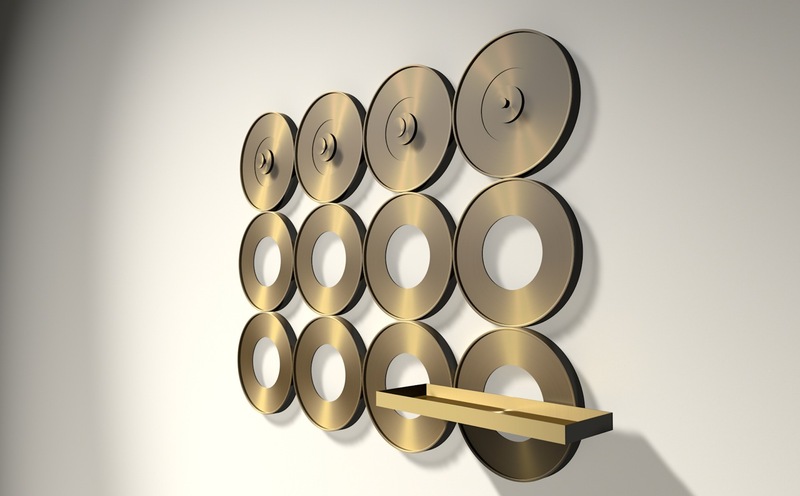 The hall storage system consists of a series of 200mm diameter rings that can be linked vertically and horizontally to form coat hooks or key hooks. A letter tray or shelf in a metal finish completes the look. AND Furniture will be located on stand D24 in the emerging designers pavilion at 100% Design. The exhibition will be held at Earls Court, London 18 – 21 September 2013.